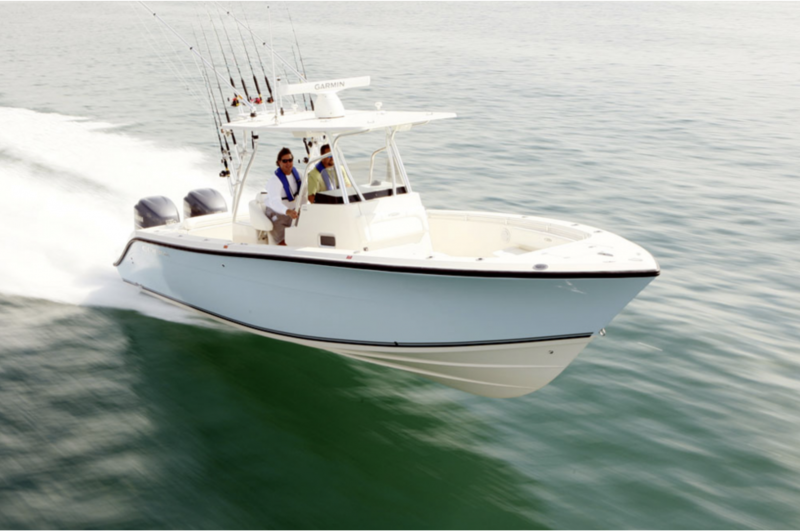 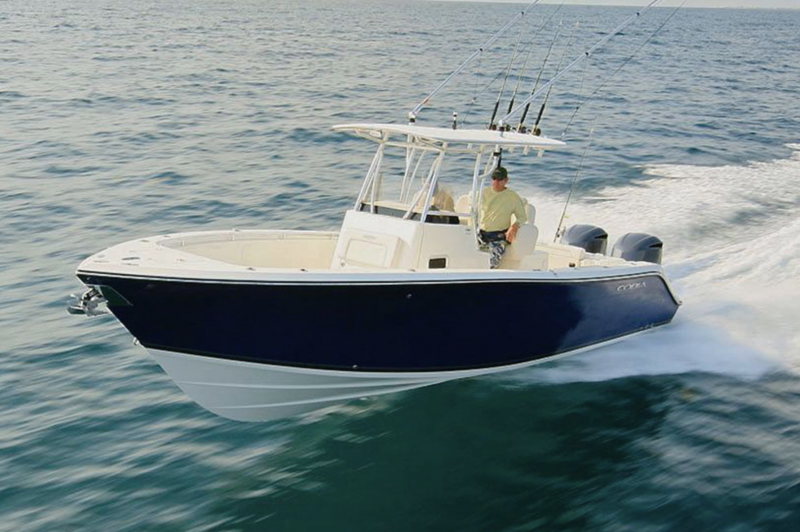 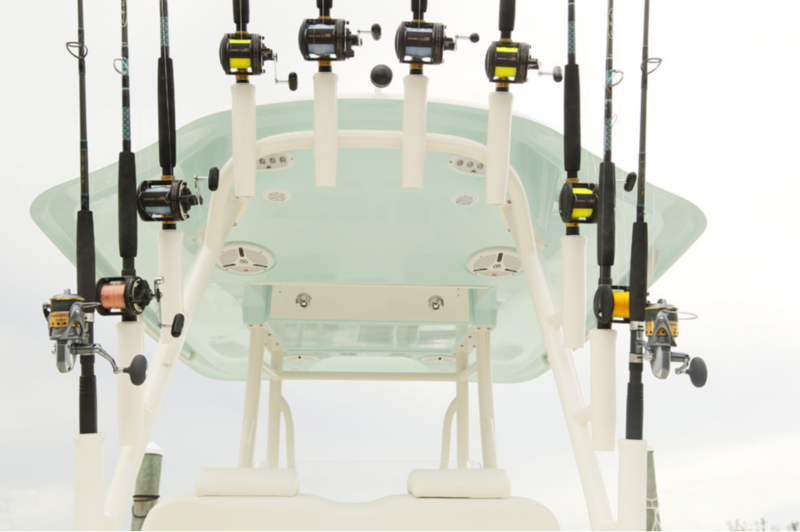 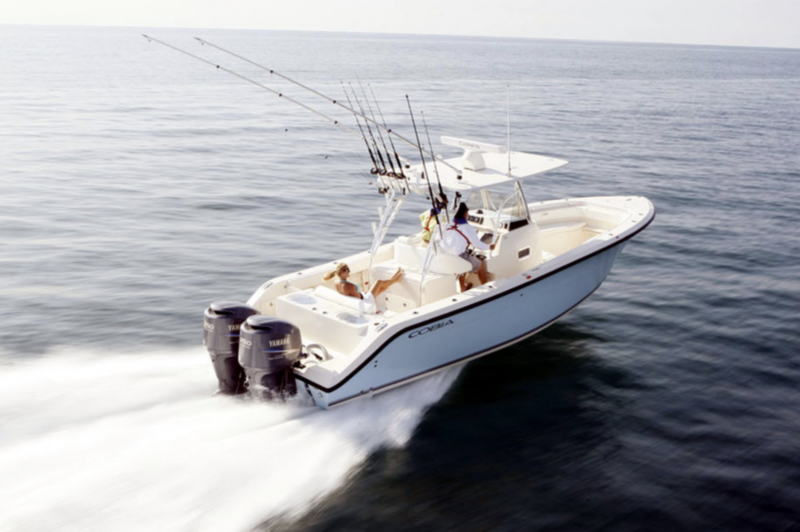 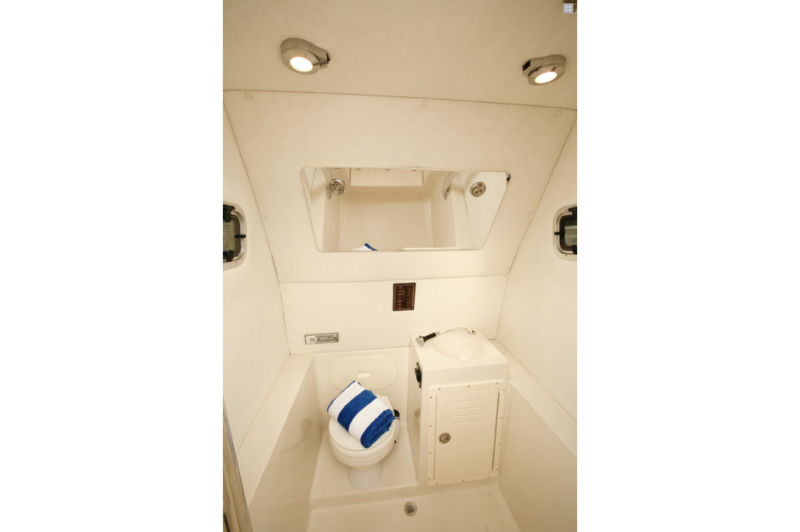 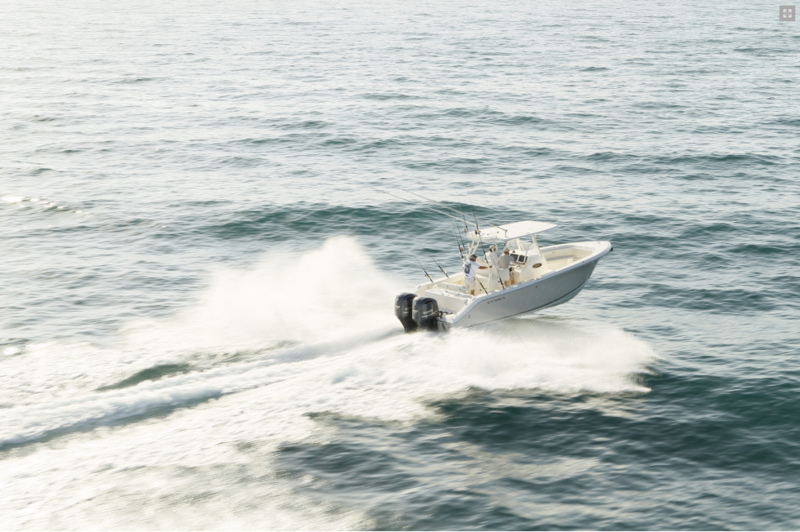 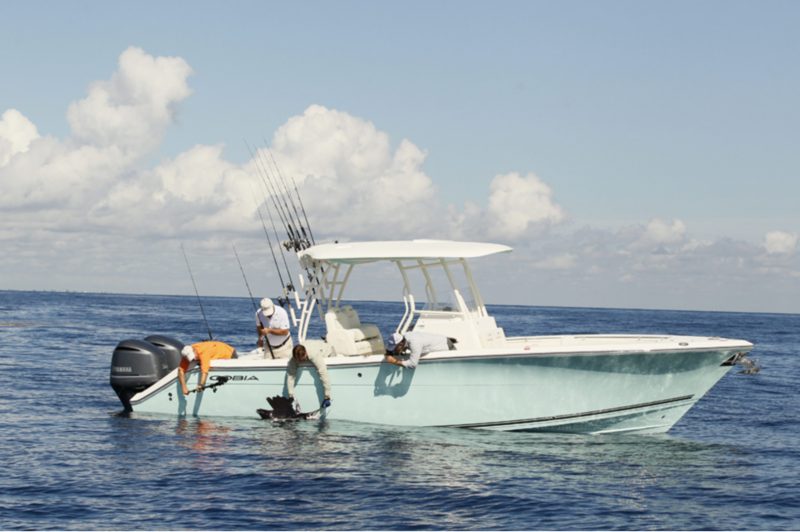 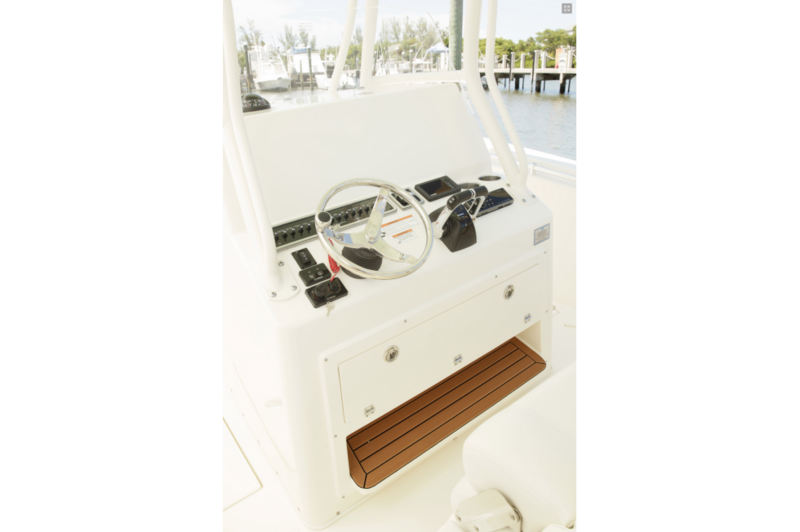 All deck hardware and the bow rail are recessed and the deck is level from stem to stern for 360 degree fish fighting maneuverability. 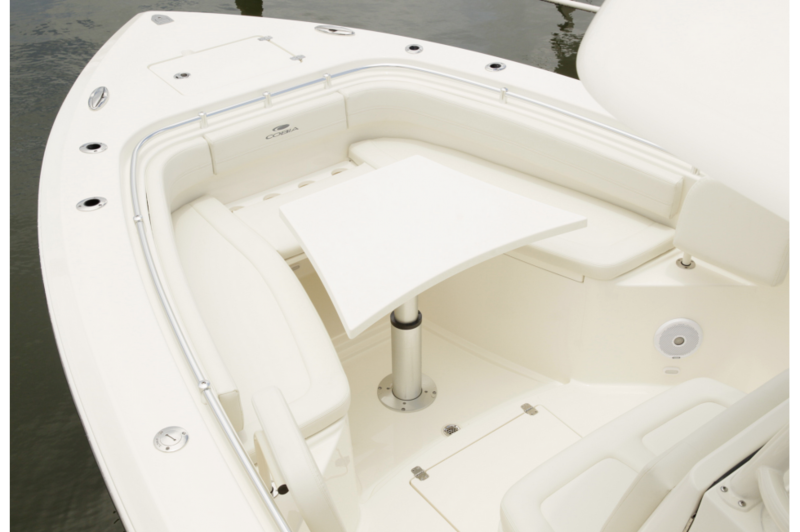 Integrated into the console and leaning post, the metalwork of the optional hard top carries the clean lines and stylish looks of the deck upward to a two-tone top with molded-in pods for speakers, LED down lighting and spreader lights. 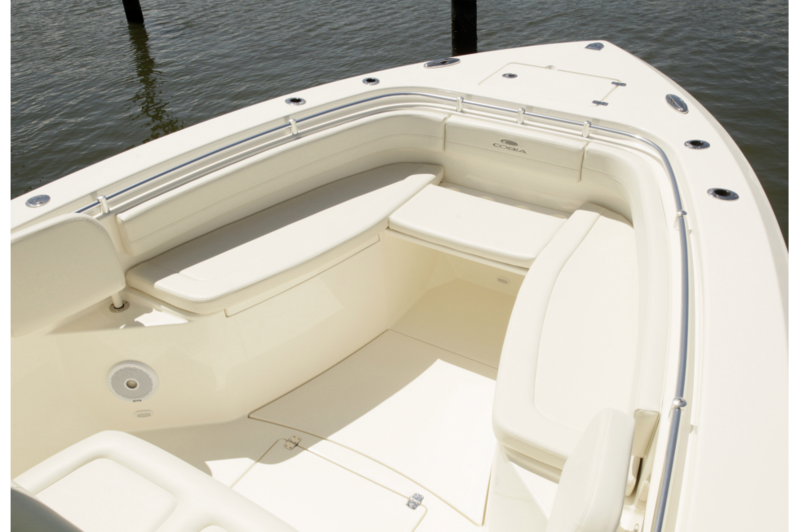 Comfort features include soft and elegantly appointed upholstery on seating for 11, a full step-down console with forward access and a new hidden bow table that raises and lowers electronically with the push of a button.